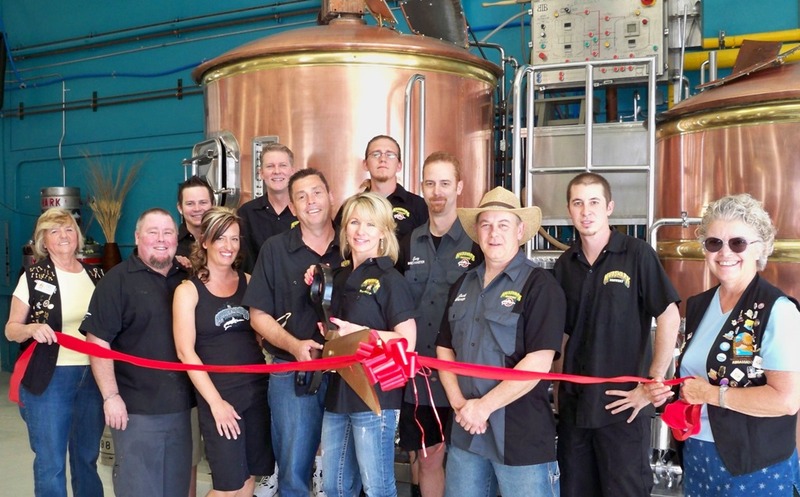 The Lake Havasu Area Chamber Ambassadors held a ribbon cutting to celebrate the new bottling operation at Mudshark Brewing Company’s brew facility. Mudshark Brewing Company now offers select varieties of the hand crafted beer bottled and canned. On hand for the ribbon cutting ceremony include; Sharon Oakley, Team Leader Sean, Aaron Kit Manager, Bar Manager Stan, Scott and Tina Stocking, owners, The Brew Crew, Luke, Guy and Jack, Team Leader Shane and Linda Riesdorph. For more information call Mudsharks at 453-2981 or stop by 210 Swanson Ave., for a taste.